It is SO hard to find date night when you live with someone (whether it be boyfriend, husband, girlfriend, wife – whatever). Chris and I have started a summer tradition that I sense will last for a long time. Mojito Monday. Why Monday? It is the roughest day of the week, so give yourself something to look forward to. We have a back deck where we can sit together and have our cocktail while enjoying the garden (when the weather is nice). When the weather is not so nice, we can sit out on the front porch. 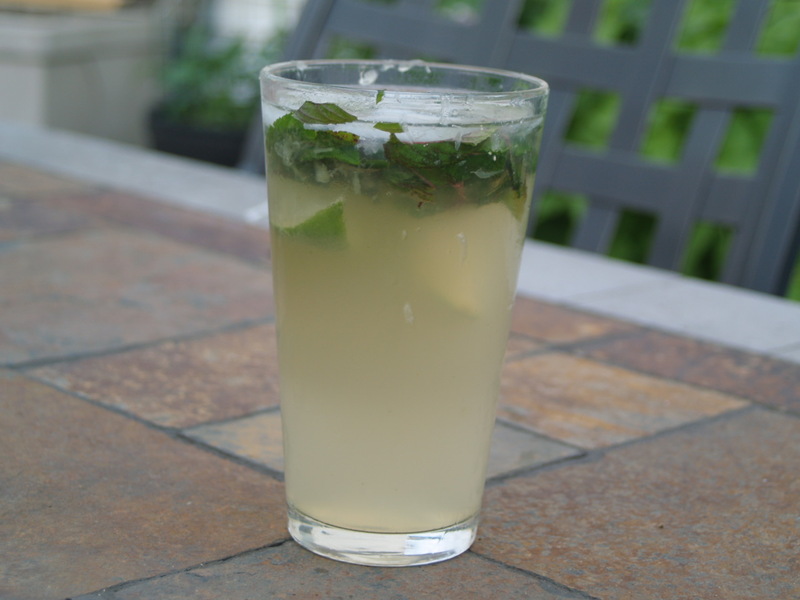 Really, who cares where you are sitting if you have a yummy mojito in your hands? We have mint growing specifically for this purpose. 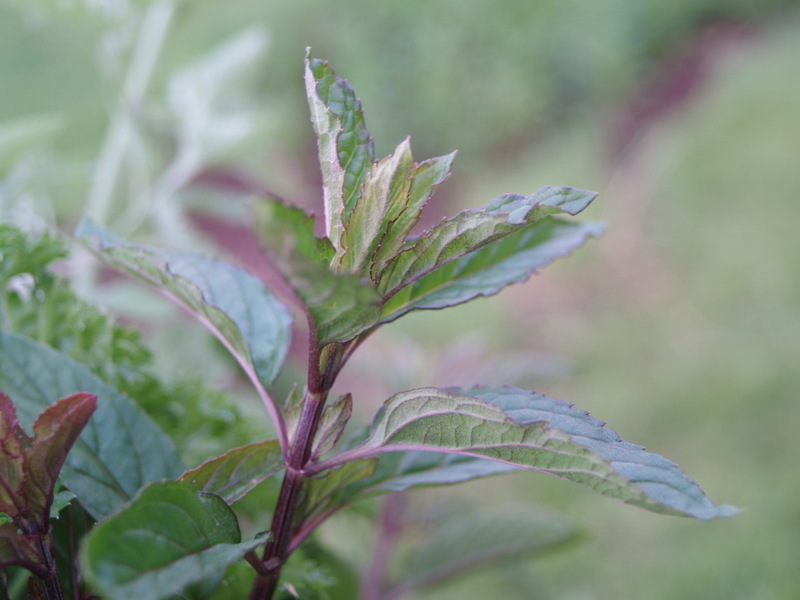 We really added some zing when we picked chocolate mint up at Rosaly’s. Start with a pint glass (or a glass of similar size). Cut your lime into quarters and squeeze the pieces into the glass. Put the limes right into the glass as well. Put the mint and sugar in. 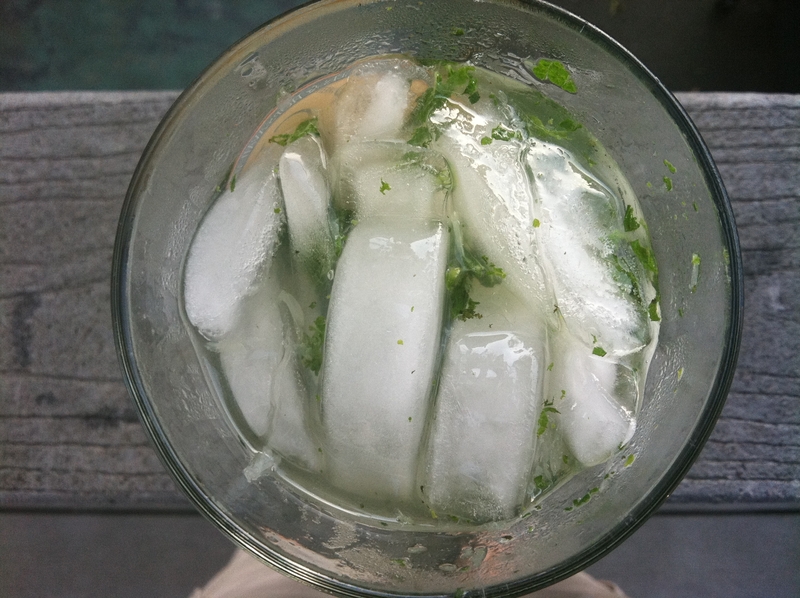 Using a pestle, crush your mint, limes, and sugar until you “get a nice big junky mess.” I interrupted Chris for his recipe while he was learning Purple Haze by Jimmy Hendrix, so it was hard to get any coherent answers out of him! Put your ice into the glass. Add in your rum then soda water. Top off with a splash of lemon lime soda. The bartender also recommends adding raspberries into your minty lime mixture for a raspberry mojito. Enjoy! More good news from the back yard! 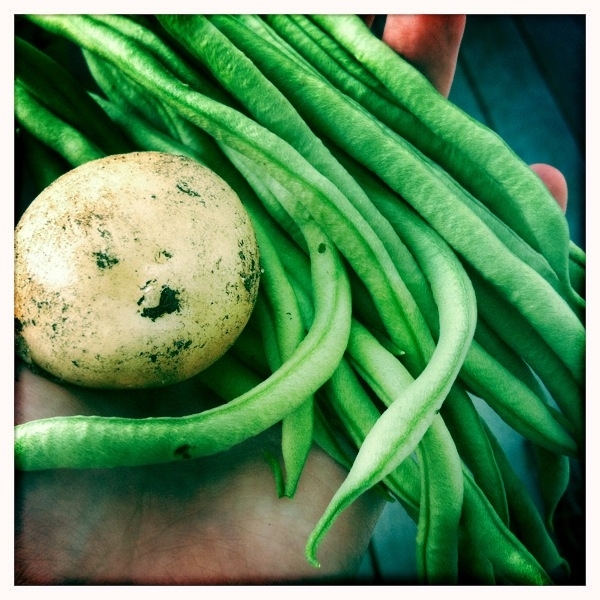 We had our first string bean harvest just a few days ago. Chris also got really curious about the potatoes and dug one up. We are going to have an incredible potato harvest soon. If you have climbing string beans sprouting, I recently put a post up about building an easy and super cheap string bean trellis. If you haven’t started any seeds and have a little space, I think you actually still have time to plant for a later harvest now. These babies grow really quickly. Hey! 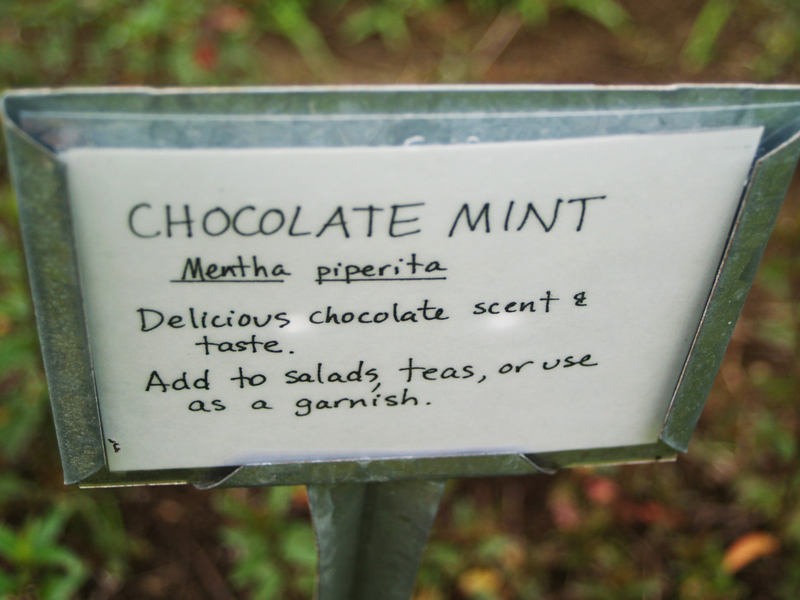 How on earth did you make such a cute “Chocolate Mint” sign?? Is it waterproof? I am so intrigued!